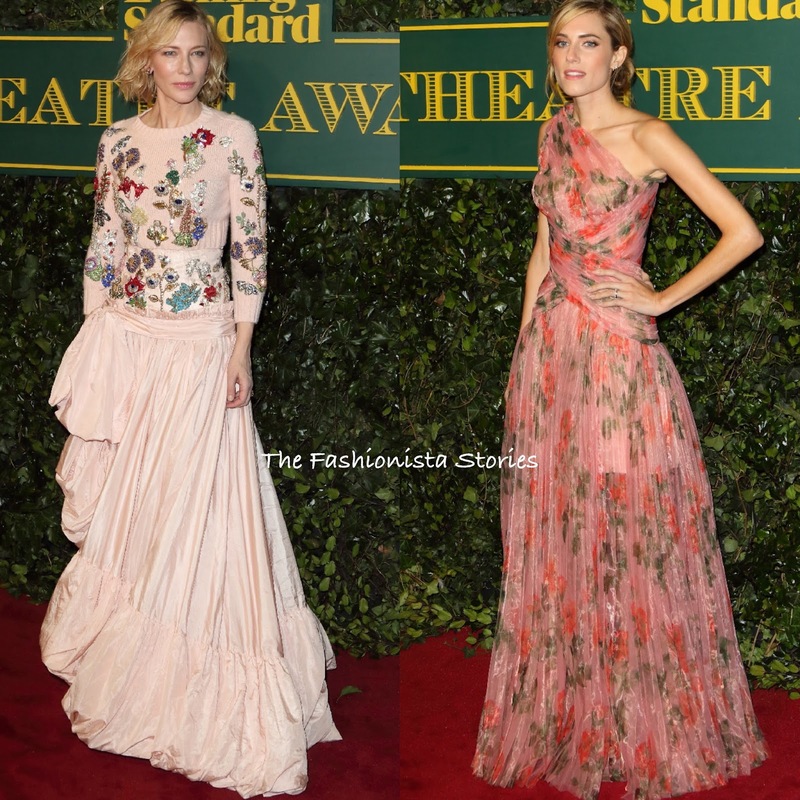 Cate Blanchett and Allison Williams wore ALEXANDER MCQUEEN RESORT 2018 yesterday evening(December 3rd) at the 2017 London Evening Standard Theatre Awards at the Theatre Royal in London. Cate Blanchett wore a two-piece pink ensemble which featured a long sleeve multi-colored jewel garden embroidered crop sweater and the matching petal taffeta skirt. I see this piece more for someone like Zendaya or Lily Collins. However I think Cate managed to make it work. Allison Williams opted for a see-through floral one-shoulder pleated gown which was layered for coverage and featured a crisscross detail waist. She complimented her look with a side parted up-do which topped off her look along with a pink lip. Who's McQueen Resort look do you favor?